In 2013 we received over $114k in donations. We contributed just under $96k to our various causes. That’s 84%!!! We hosted the 8th Annual DJ Frandsen Bocce Ball Tournament at Campo di Bocce in Los Gatos on January 26th. It was once again a tremendously successful and sold-out event that raised a lot of money for the many worthy causes we support, and was a great time for all who attended. View photos from the event here! On February 12th, 19 for Life provided Greg Walker a much needed break from his cancer fight. 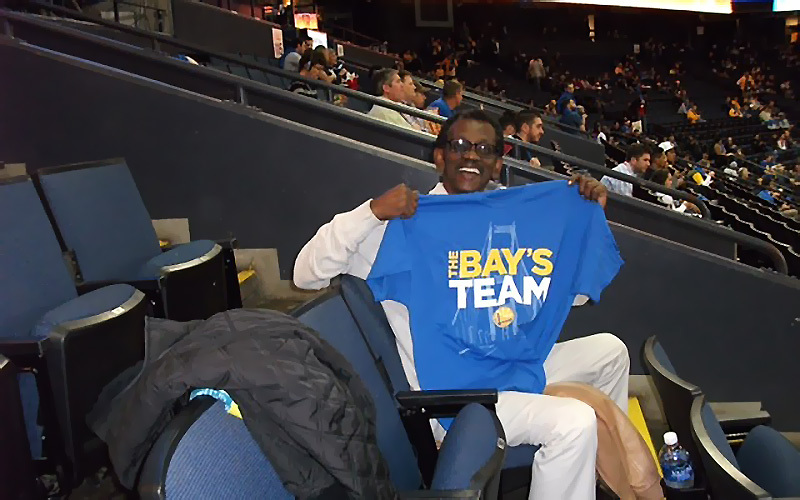 We sent him and his wife to a Warriors basketball game, and they saw a great game! (See photos in slideshow above) Warriors vs Heat…the Warriors were down by 20 in the 3rd quarter, but fought back to take a 2-point lead with about 10 seconds left. LeBron James then hit a game-winning three pointer with 0.3 seconds left in the game. Unfortunately, the Heat won, but the game was super entertaining and Greg had an awesome time! Our foundation could not do what we do without the support from so many people who donate their money and time. Thank you all! Top 5 Named for Lexus Volunteer Scholarship Awards 19 For Life Scholarships Awarded at 2014 Cal-Hi Sports Banquet!